Quick delivery, the right size and started first time. Obviously it is early days but the battery arrived well-packed and in good condition and started the car without any problems immediately after installation. Excellent service. Prompt delivery. Competitive price. Fantastic Service.... Great Value for money, Friendly Staff, Mega fast delivery, will most DEFINATELY be using you again! Thanks lots! well packed and delivered on time. 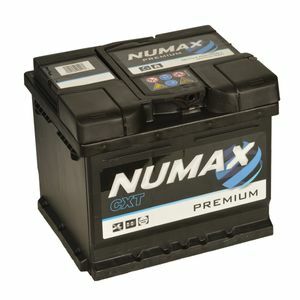 the battery does what a battery does hard to find fault really... a great online service. Very good battery and my car is starting great now. The level of customer service was excellent and also the delivery time was also fantastic. The battery came in good condition and there is no problems with my purchase. Thank You Again. Despite problems with original delivery (battery broken by carrier), one phone call and new battery was delivered in perfect condition next day. Excellent service and excellent delivery. thank you. This item was delivered exactly when said and fitted perfectly with no problems. Very impressed. excellent service and speedy delivery thankyou very much! !